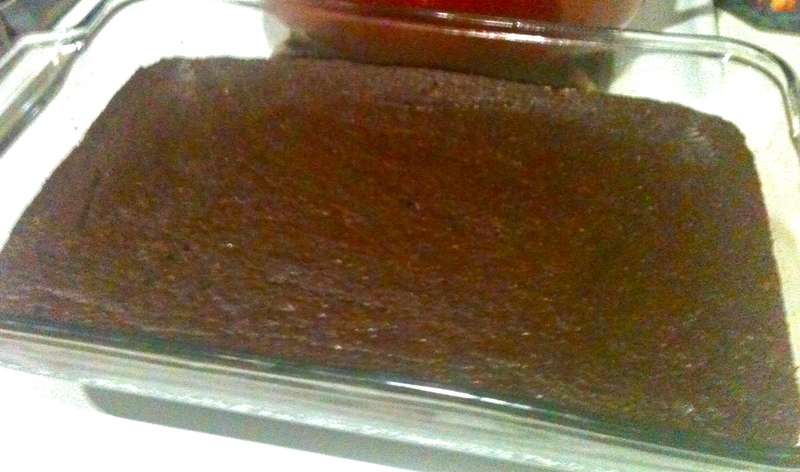 Cayenne Pepper and Orange Brownies. Remember that Johnny Depp and Juliette Binoche movie called Chocolat? About a mother and her daughter who move to a little French town and open up a patisserie? It was a pretty cute movie, but more importantly, it was about chocolate. There’s one scene where a character drinks a cup of hot chocolate with some kind of chili pepper in it, and she loves how exotic and surprising the flavor is. This scene really stuck in my head–what an interesting combo that would be! 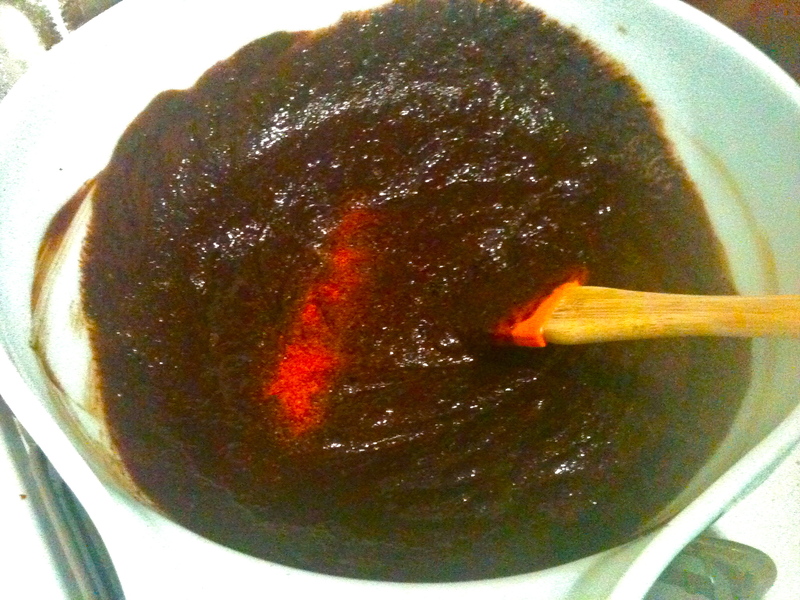 I’ve wanted to try the chocolate-and-chili flavor duo ever since I first saw Chocolat, and when I decided to make brownies yesterday, I gave it a try. 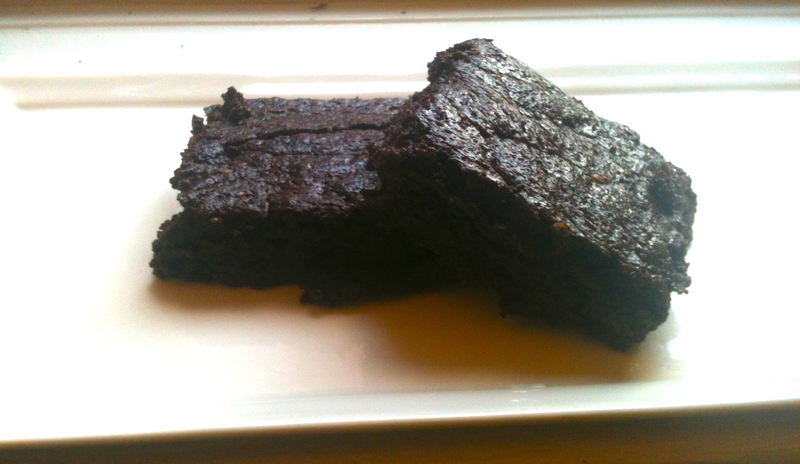 They turned out really well–the tiniest hint of pepper and orange gives these brownies a really deep and complex flavor. 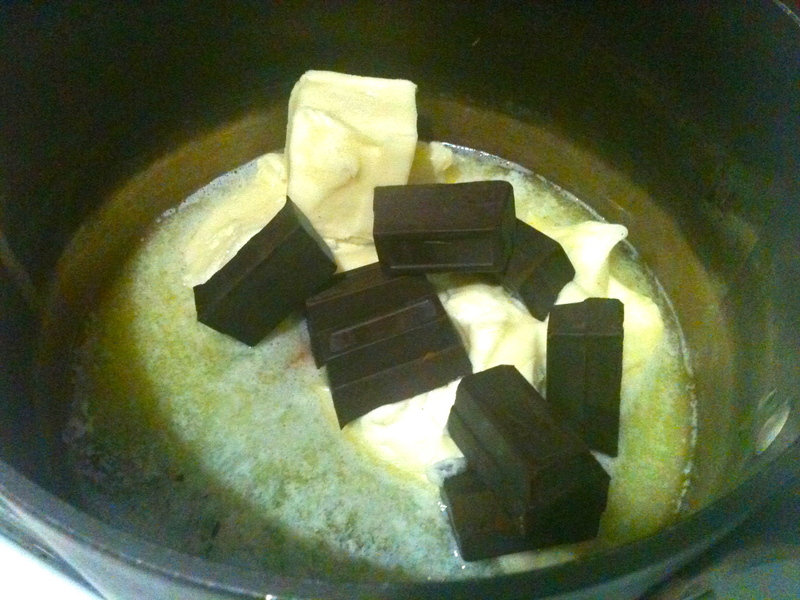 In a pan over very low heat, carefully melt butter and chocolate until smooth. Don’t burn it! 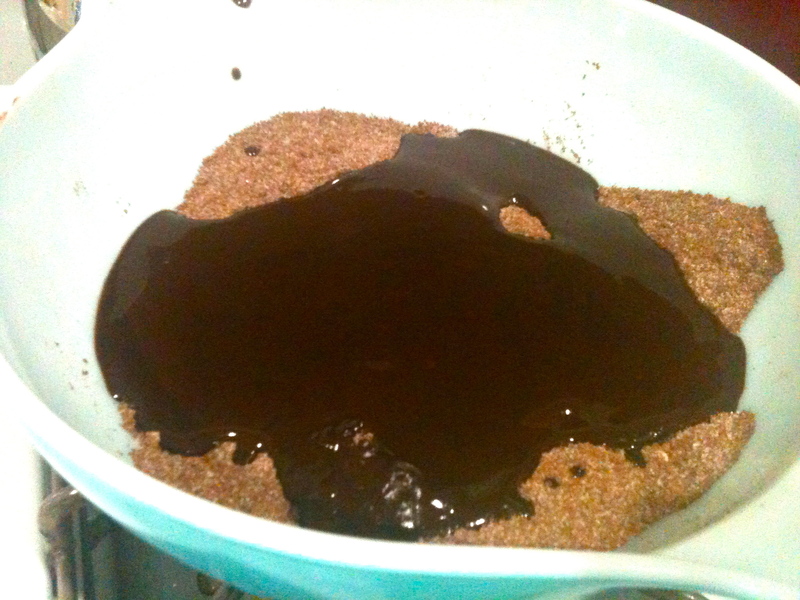 In a separate bowl, combine cocoa powder, almond meal or flour, baking powder, and sugar. 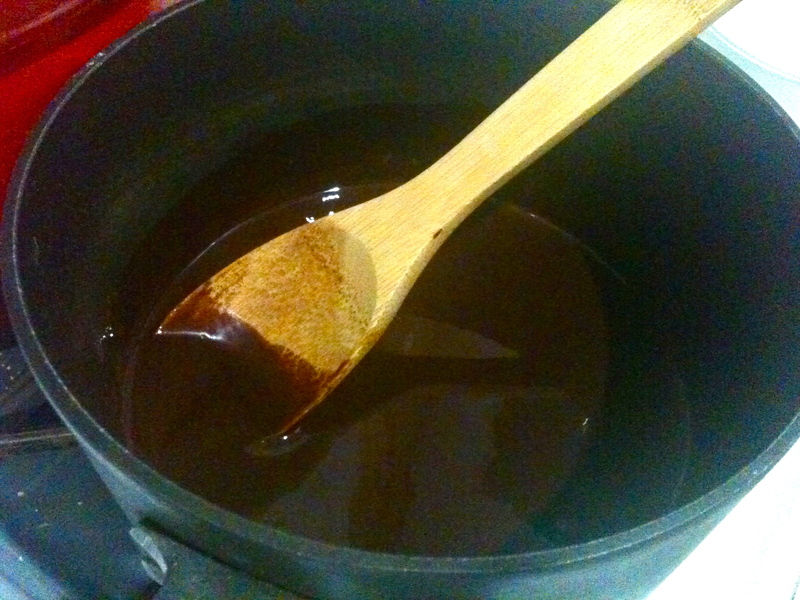 Stir in the melted butter and chocolate and mix well. 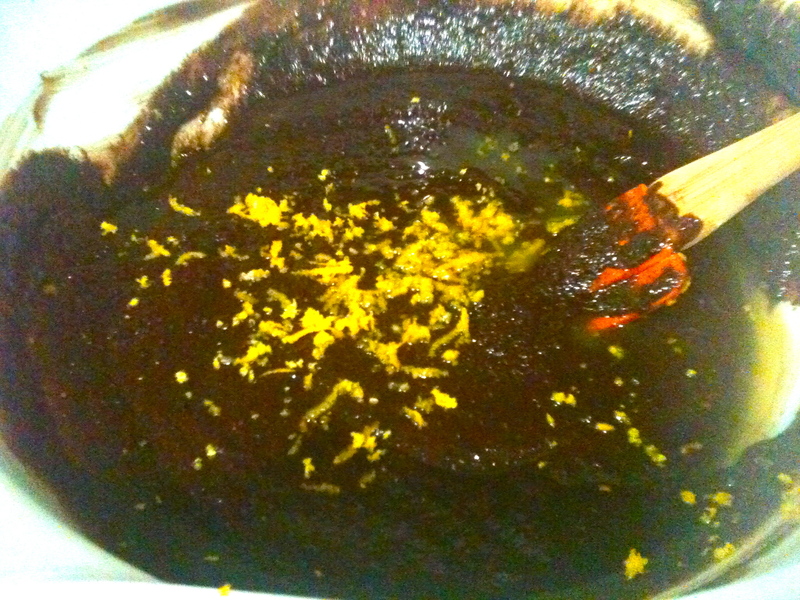 Add cayenne pepper and orange zest and juice and combine. Add to batter and stir until smooth. 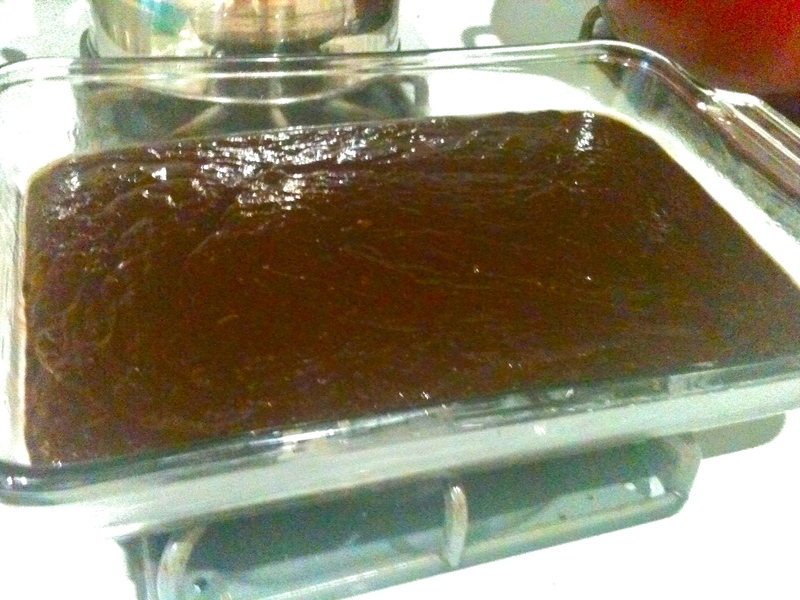 Pour into greased pan and bake for about 25 minutes. Cool 1 hour before cutting into them. Dust with powdered sugar and enjoy with a frosty glass of Blue Moon and an orange wedge…yum. Next Upside-Down French Onion Soup. Ao unexpected Kel. Great job!! So creative and unexpected! Great job Kel!